Stanley offer a very strong range of mobility products for use in occupational therapy environments, designed to improve user mobility, comfort and ultimately boost the quality of life for those that are less able-bodied. These mobility products relate to wheelchair stair climbing and cutting-edge propulsion technology. 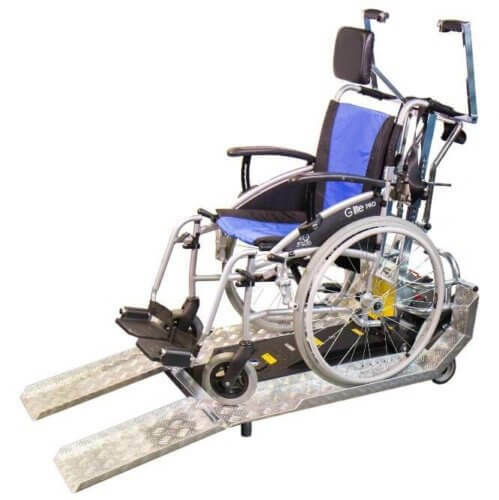 Firstly we offer the Tolo, this is a battery-powered wheelchair unit, which enables users to ascend and descend the majority of staircases, be they straight, winding or spiral. 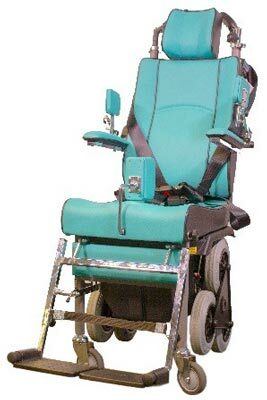 The key benefit of this piece of equipment is its unique drive system, this enables the user to navigate the wheelchair around the environment unaided. However, a trained individual is required during the stair climbing process, which is a very straightforward task, completed at the touch of a button. The seat itself is fully equipped with a foldable armrest, headrest and adjustable footrest to optimise user comfort. Various attachments and configurations can also be supplied for a more tailored solution. It is a fully-collapsible unit with a range of customisable features, such as a large base plate for larger wheelchair designs. 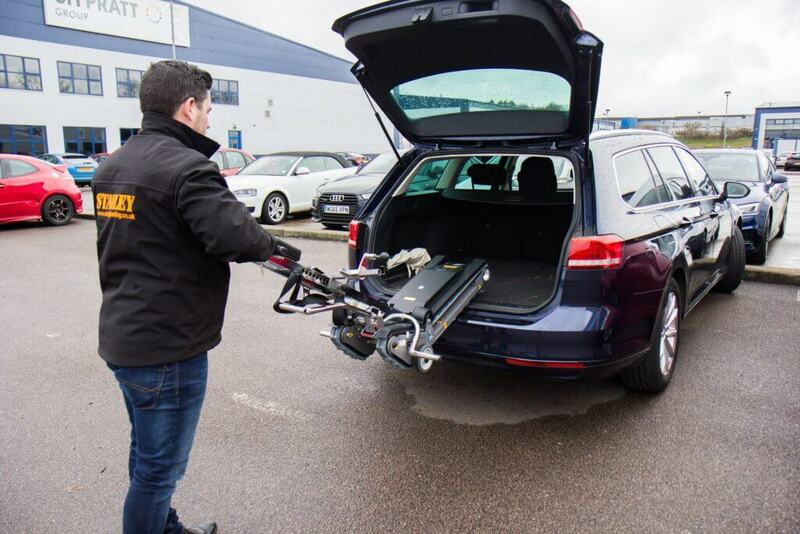 It can also be easily dismantled into two separate pieces which enable it to be transported in a car, ambulance or shuttlebus. The key benefit for this particular stair climber is that it enables users to be transported from within their own wheelchair, which offers a very dignified solution. 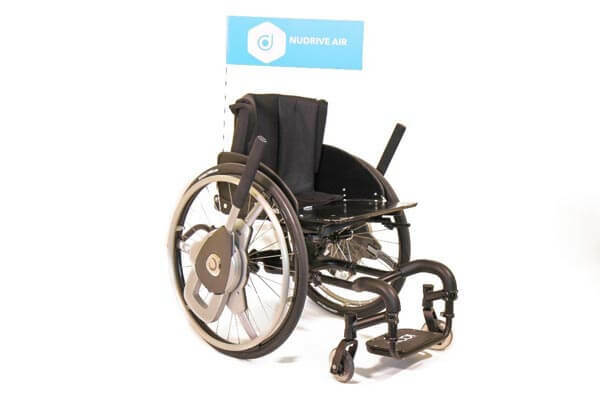 The final mobility product we offer of benefit to occupational therapy is the NuDrive Air. This exciting piece of technology comprises of a simple lever system that is attached to the side of the wheels. 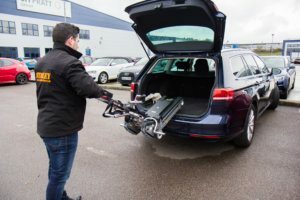 The ‘Snap-Lock’ technology can be fitted in a matter of seconds, instantly enabling the user to propel themselves forwards and backwards, manoeuvre and brake. This unique lever system is 50% more efficient than a traditional wheelchair system, and it improves user independence through normal and difficult terrain, such as steep slopes. Among its many obvious benefits, one of particular relevance for occupational therapy is the fact it promotes light exercise, thus enabling improvements in health due to the level of gentle activity required to operate the lever system. It is evident from the study that those who do not have sufficient strength to perform regular daily activities benefit greatly from using the NuDrive Air. Its unique system increases the effect of the remaining muscle strength the respondents have, as the lever mechanism provides an extra mechanical advantage to them when moving forward in their wheelchair. This reduces levels of fatigue experienced. The study also noted an improvement in respiration and a decrease in the level of pain in the shoulders, wrists and hands. This is proof that the NuDrive Air can work as a form of therapy for existing pain, and can also work as a preventative method to ensure that pain will not occur as easily as a long-term injury caused by daily life in a wheelchair. For a more detailed account of each respondent, please click the medical study below.